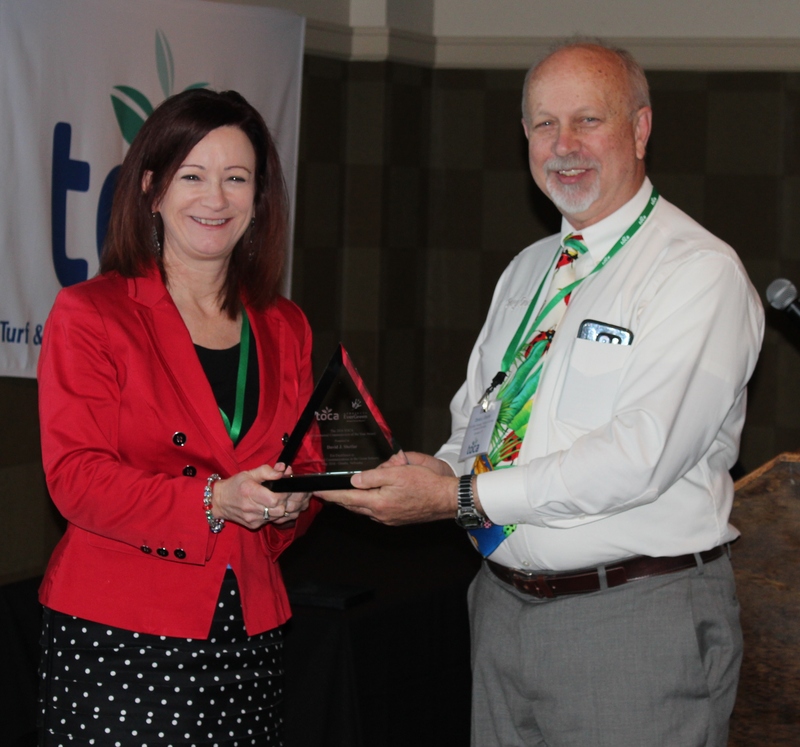 The "BudDoc," right, receives his Environmental Communicator of the Year award from Cindy Code of Project EverGreen, sponsor of the program. The 2016 TOCA Environmental Communicator of the Year, David J. Shetlar, Ph.D., aka the BugDoc," told TOCA members at the annual TOCA meeting in Omaha that urban biodiversity is real and resilient. Dr. Shetlar said many studies completed on biodiversity are non-target insecticide studies. Studies conducted in Ohio and New York on the abundance of arthropods showed mites to be the most abundant. He said some entomologist studies on urban diversity use different turfgrass habitats and management but newer studies are looking at reclaimed lands. The BugDoc continued by explaining native plants are better than non-native plants and gave his opinions on the common misconceptions of pesticides. He believes the older, simpler ways of life are not necessarily better than todays, and natural and organic products and materials are not necessarily safer than synthetic. There can be real risks in banning pesticides. A Professor of Urban Landscape Entomology at The Ohio State University, Dr. Shetlar performs outreach on turf and ornamental entomology, teaches general entomology and concentrates on turfgrass entomology research. He produces the popular P.E.S.T. Newsletter in association with the Ohio Nursery and Landscape Association. In 2005, he was one of the recipients of an Annual Leadership Award presented by Lawn & Landscape and Bayer, and he received the Educator & Public Service Award from ONLA in 2010. 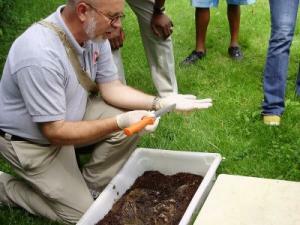 He has coauthored several books on turfgrass insects and has a long list of research and outreach publications.